In the year 1648 English Parliamentary army captures King Charles I.
Cnut the Great (Canute), King of Denmark, claims the English throne after the death of Edmund ‘Ironside’ in the year 1016. On this day in the year, 1731 Beijing hit by an earthquake; about 100,000 die. PM Narendra Modi and Barack Obama to speak at Hindustan Times Leadership Summit today. Bengaluru gets India’s first space technology gallery. Anna Hazare to launch Jan Lokpal stir from March 23 next year. 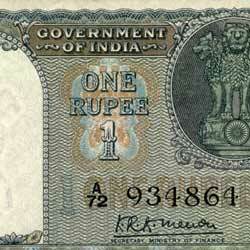 Old 1 rupee note celebrates a century today. Sushma Swaraj arrives in Russia to attend Shanghai cooperation organization summit. Delhi government asks NCERT to include a chapter on tobacco in school syllabus. Veerendra Kumar to resign from Rajya Sabha. Victoria becomes first Australian state to legalise euthanasia. Raj Shah becomes first Indian-American to hold press gaggle aboard Air Force One. The US sold defence equipment worth over $38 billion in 2017. Jet Airways, Air France-KLM announce tie-up to boost traffic. As per Ericsson report mobile data traffic in India to grow 11 times by 2023. India moves up one spot to 68 on Global Entrepreneurship Index. Snehlata Shrivastava is first woman Secretary General of Lok Sabha. West Brom appoints Alan Pardew as a new boss. 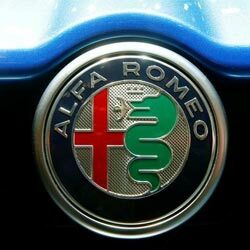 Alfa Romeo to become Sauber title sponsor. Everton set to appoint Allardyce as manager. Former Kerala minister E Chandrasekharan Nair passes away. Prime Minister Narendra Modi on Thursday will inaugurate the 15th edition of the Hindustan Times Leadership Summit. It will see famous persons such as former US President Barack Obama and Afghanistan chief executive Abdullah Abdullah who will give their perspectives on India’s rise on the global stage. Leaders such as Finance Minister Arun Jaitley and UP Chief Minister Yogi Adityanath will speak about The Irreversible Rise of India. The summit is being hosted against the backdrop of a host of reforms such as the Goods and Services Tax. The country’s first Space Technology Gallery, set up at Visvesvaraya Industrial and Technological Museum(VITM), in collaboration with Indian Space Research Organization (Isro). Now we can experience live satellite launches held at Sriharikota’s Satish Dhawan Space Centre in Bengaluru museum. A special section has been dedicated to APJ Abdul Kalam, who headed the Rohini satellite project at Isro. After setting up the first one in Bengaluru, the National Council of Science Museums is planning the next Space Technology Gallery in New Delhi. Social activist Anna Hazare will launch an agitation over Jan Lokpal and farmers issues in New Delhi on March 23 next year. Hazare said that he chose March 23 to launch the agitation as it happens to be the Shaheed Diwas. Hazare said this will be a satyagraha for Jan Lokpal, farmers’ issues and poll reforms. Previously he went on a 12-day hunger strike in 2011 after which the then UPA government accepted the demand in principle. The first one rupee note was introduced on November 30, 1917, with the photo of King George V have been all but tumultuous for this creation. The Reserve Bank website says its issuance was discontinued first in 1926 on cost-benefit considerations. It got reintroduced in 1940, only to be discontinued in 1994 again. The little note got back again in 2015. External Affairs Minister Sushma Swaraj today arrived in the Russian city of Sochi to attend the annual Shanghai Cooperation Organisation summit. The summit will be held on November 30 and December 1 and issues relating to the regional security scenario. In June, India and Pakistan had become full-fledged members of the Shanghai Cooperation Organisation (SCO). In the summit, India is likely to press for concerted regional and global efforts to contain terrorism. Delhi government asks NCERT to include the chapter on tobacco in school syllabus. Delhi’s State Tobacco Control Cell has urged the NCERT to incorporate a chapter on tobacco control in curriculums of the CBSE and other educational boards for classes 6 to 12. Additional director in the Health Department, Dr S K Arora said the WHO estimated that of the 1,000 teenagers who smoke currently, 500 would eventually die of tobacco-related diseases. Kerala JD(U) president M P Veerendra Kumar announced his decision to resign from the Rajya Sabha. Kumar said he did not want to continue as the Member of Parliament of the party led by Bihar Chief Minister Nitish Kumar. Veerendra Kumar, the chairman and managing director of the Malayalam daily newspaper Mathrubhumi, is also a director in PTI. An Australian state became the first in the country to legalise assisted dying, or euthanasia, with lawmakers voting to allow terminally ill patients the right to request a lethal drug to end their lives. The scheme will be accessible only to terminally ill patients over 18 living in Victoria for at least a year and with less than six months to live, down from an originally proposed 12 months. The legislation, which takes effect from June 2019, was passed in Victoria after 100 hours of often fiery debate. Raj Shah becomes the first Indian-American who holds a key position in the White House, gaggled with reporters on board presidential chopper Air Force One. 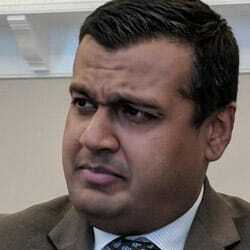 Shah, Principal Deputy Press Secretary in White House, was born in 1984 to Indian parents of Gujarati origin. Shah joined the White House right from the day the Trump administration took charge. Pentagon said the United States sold military hardware and equipment worth over USD 38 billion this year. The sale of military equipment was the maximum in Central Asia and Near East region, which amounted to USD 22 billion. This was followed by the Indo-Pacific (USD 7.96 billion), Europe (USD 7.3 billion), Western Hemisphere (USD 641.6 million) and Africa (USD 248.6 million). India’s Jet Airways and Air France-KLM announced a partnership to route more traffic through Europe and on to North America. Indian international air traffic is booming, but much of the growth is coming from three big Gulf carriers including Etihad, which owns 24 percent of Jet. The agreement also includes Delta Air Lines, with which Air France KLM has an existing partnership. The total mobile data traffic per month in India is set to grow 11 times, from 1.3 Exabyte to 14 Exabyte by 2023, according to Ericsson’s Mobility Report. The report estimates that the monthly data usage per smartphone (GB/month) in India will increase five times from 3.9 GB in 2017 to 18 GB by 2023. LTE will account for more than 60% of the total subscriptions in the country by 2023 compared to the 12% LTE subscriptions in 2017. India has moved up one place to spot 68 on the Global Entrepreneurship Index of 2018, which is topped by the US. Last year India was at the 69th position. The list was prepared for 137 countries in the world. Each country is ranked according to its GEI score to indicate overall entrepreneurship attitude and potential. 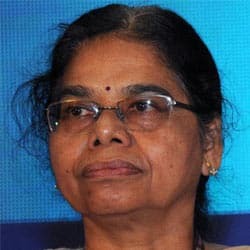 Snehlata Shrivastava, a 1982-batch retired IAS officer of the Madhya Pradesh cadre, takes the appointment as the first woman Secretary General of the Lok Sabha. Lok Sabha Speaker Sumitra Mahajan appoints her for the post. Shrivastava will replace Anoop Mishra, who is retiring on November 30. Shrivastava has served as Secretary in the Ministry of Law and Justice and also as Special/Additional Secretary in the Ministry of Finance. West Bromwich Albion appointed Alan Pardew as their new manager following the sacking of Tony Pulis. The former West Ham, Newcastle and Crystal Palace boss has agreed to a two-and-a-half-year contract at the club. The 56-year-old had widely expected to become Albion’s new manager. He takes over with the club winless in their last 13 games in all competitions. Alfa Romeo is returning to Formula One after a 30-year absence as backers of Sauber next year. The Ferrari team will get the new name as Alfa Romeo Sauber. Alfa Romeo won the inaugural F1 championship with Nino Farina in 1950 and followed up with legendary Argentinian Juan Manuel Fangio winning the 1951 title. Everton will finalise terms with Sam Allardyce to appoint the former England coach as their new manager. This will be the 10th English club managerial position of the 63-year-old’s career, with Allardyce most recently having guided Crystal Palace. David Unsworth was in temporary charge since Koeman was sacked on October 23. E Chandrasekharan Nair, who was a member of the first Kerala Assembly, died at a Thiruvananthapuram Hospital. He was the president of Kollam District Co-operative Bank for more than 29 years. In the Kerala government headed by E K Nayanar, Nair was the Minister for Food, & Civil Supplies and Housing from January 25, 1980, to October 20, 1981. Candidates hoping to get Government Jobs can get more details about the Current affairs from above links. You can read daily Current Affairs, and attempt Current Affairs Quiz which helps you to crack various Competitive Exams. Use these links to strengthen your General Knowledge Quotient. Users will be benefited from the free month wise Current Affairs PDF and Updates available for download. The Free Quizzes & GK Questions available in Current Affairs Section will benefit all the career hopefuls to get their desired Sarkari Naukri. This Daily Current Affairs page is well created by the dedicated team members of recruitment.guru.